As mentioned before, all our varieties are 100% autoflowering. Additionally, all our varieties have a growing and flowering period of only 60-65 days, which is an extremely short life cycle (with the exception of Fast Haze, 70-80 days). From seed to harvest! For the outside grower this means it is now possible to harvest multiple times a year. Paired with the fact that these varieties usually do not get very large, so they are very suitable for balconies (even window sills! ), small gardens and places where they shouldn't attract too much attention. So, autoflowering cannabis seeds are very suitable for the discrete guerilla grower. All our autoflowering cannabis varieties have their own specific and characteristic qualities. We select all genetics on stability and reliability, without neglecting the taste, effect and yield. Bringing the genetics one step further every time is our continuous challenge. 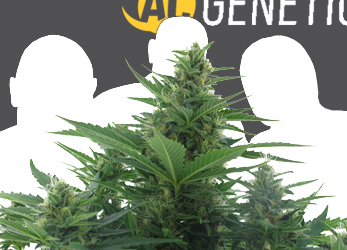 In addition we would like to surprise you in the future with new, interesting autoflowering cannabis varieties.